An artistic group created by director Hitoshi Taguchi and the choreographer/dancer Makiko Izu. Their aim is to divert the idea of ”here and now” by creating a spectacle of carefully planned sensory impressions based on the spontaneity of the reaction. The group carries out projects for museums, theaters, art festivals and various other occasions across Japan and abroad. Their art escapes generalization, going far beyond the boundaries of art. Artistic director of GRINDER-MAN. 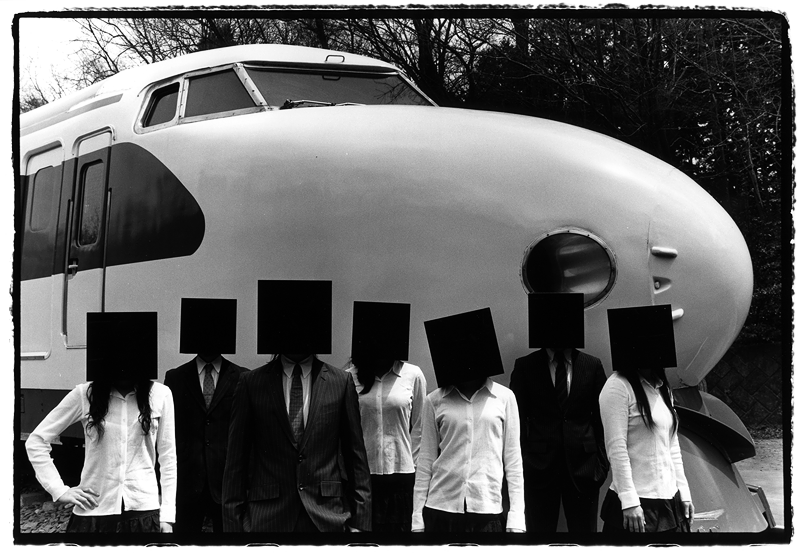 Born in 1973, graduated from the department of new media art, University of Tsukuba. In 1997, he founded GRINDER-MAN as a performance group. Consistently to the present, he is in charge of direction of all art piece. In 2008, IKKAC was established by himself as agency. The mission is to create a new relationship between art and society by combining contemporary art, dance and new technology. Staying in New York as the artist abroad dispatch program of the Agency for Cultural Affairs (November to December, 2016). Dancer, Choreographer. Born in 1974. Her choreography is characterized by the construction of dynamic movement that makes body’s weight feel. She began training in ballet in her early childhood. After graduating from the education department of dance in university, she stadied contemporary dance in France fot one year. Since 2005, she joined GRINDER-MAN as a dancer and a choreographer.